The Mothers' Union was the main organisation for lay (non-professional) Anglican women. 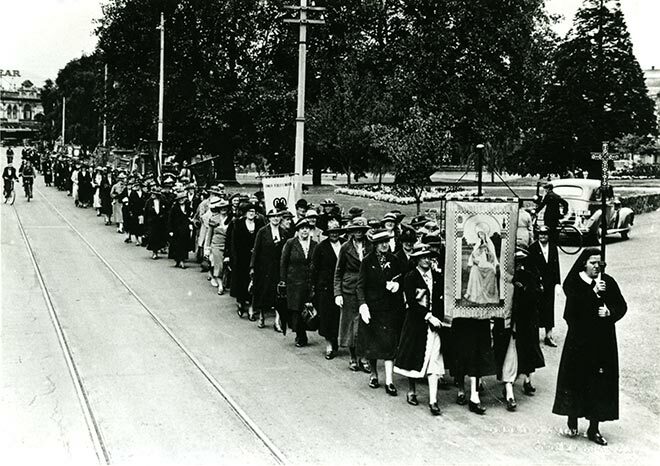 This is a Mothers' Union parade in Christchurch in the 1930s. The women hold banners identifying the branches of the organisation they belong to, and are led by a nun holding a large and ornate cross.